Оксфордский курс "Английский для Переговоров" предназначен для всех тех, кто планирует регулярно вести деловые переговоры. 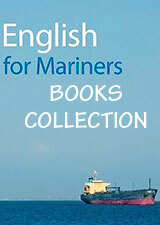 English for Negotiating is an ideal short course for professionals who regularly need to negotiate in English at work. 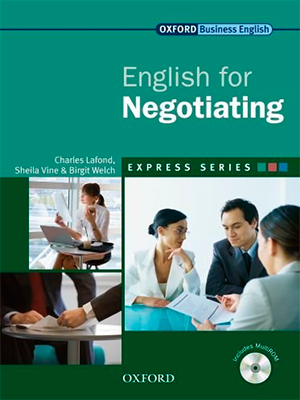 English for Negotiating provides learners with the appropriate language, specific intercultural skills, and effective techniques necessary to be a successful negotiator. English for Negotiating has seven units which progress logically through the typical stages of a negotiation process. Every unit concentrates on one fundamental aspect, from the initial preparation to offers, counter-offers, and difference resolution. The 'Negotiating Skills' boxes teach students effective strategies and techniques for negotiating, and the 'Intercultural Skills' boxes give advice on creating a good impression and avoiding problems when working with foreign partners.